The wolf. Dream-catcher. Symbol of balance, bringer of knowledge. Native American Animal Spirit Art. Why do Native American gifts depict certain animals on them? What do these animals signify to the Native Americans? We sell a lot of Indian souvenirs and gifts with animal symbols on them and want to help with the understanding and symbolism within the designs that we carry. there are numerous animals that the Native culture worship and admire. We can’t list them all here, but have chosen a few of the top animals that are important within this culture. Bears, eagles, coyotes, wolves and more are believed to have sacred powers and teach wisdom to all who will pay attention. The Native American Souvenirs in our lines depict these animals quite a lot. So the next time you’re in a souvenir shop looking for a special gift, remember what these great animal symbols stand for and choose your spirit animal wisely. We’re all acquainted with Native American animal spirit artwork. Easily recognizable classical designs. Found and sold on all the things possible throughout the Southwest. Jewelry, hoodies, tees, pottery, rain sticks and other souvenirs are sold by sidewalk vendors, gift shops and Native American Attractions like the Crazy Horse Memorial. In galleries you will find some fantastic looking paintings and sculptures made by Native Americans themselves or colonists who admire their art forms. You will often see Native American symbols on road signs, street posts, license plates, and billboards. You will find many items either painted, carved, embroidered, and bronzed. Artwork is borrowed from the Navajo, Hopi, Pueblo and Zuni influence, but what do we actually know of their artwork? If you were to start out in search of answers, your fact finding mission begins with probably Wikipedia. You should be able to get a very good idea as to the symbolism of animals in Native American Cultures. Where you should start however is on the Native American sites themselves or American Indian Tribal sources. then head over to the Smithsonian for more answers. there you will find much more details information from 2 excellent sources. Don’t just use Wikipedia. It’s OK, but it’s no museum or actual American Indian site. On the Native American sites and the Smithsonian site you will find more then art, you’ll find, music, food, and other cultural goodies you just won’t find on Wikipedia. I’m going to talk a bit about the art and symbolism of some of the animals that are used within the art of the Native American. We carry a large selection of Souvenirs specifically for the Native American attractions and souvenir stands. You can see our selection of items our website Fairway Manufacturing Company. we carry leather goods, beaded jewelry, silver jewelry, tom toms, flutes, headdresses, play sets, animal pelts and so so much more. Represented here in my blog post is southwestern artwork symbolism. Animal designs of modern ethnic inspired origin is what most souvenirs have on them. They represent the most popular and famous animals used in Native American tribal mythology, story, and folklore. As bringers of good will, good medicine, and good fortune, these animals are very important in the Native culture. There are 566 Native American tribes recognized by the Bureau of Indian Affairs. There are thousands of symbols and totems that represent and give us information of a physical form of their historical past, and their guides, their source of inspiration and way of life comes from the symbols they found in nature and their surrounding regions. Each symbol taking a distinctive form, but all still revolving around Native American symbols and their artwork. Many Northern and Southwestern Native American tribes used animals in their artwork. they would place it on their body as art, on tepees, totem poles, and clothes. they can be seen in textiles, jewelry, and pottery. You will find animal designs elaborately painted on ceremonial masks and as distinctive weaving patterns on ceremonial robes. The Navajo, as part of their ceremonial acts would make elaborate artworks out of sand, charcoal, cornmeal and pollen. Unfortunately most of these works are gone and distributed back into nature by the wind. Animals were commonly used as fetishes, protectors, guardians, and teachers. They could symbolize direction with an association with North, South, East and West, above and below. Each possessing distinctive powers and traits. However why animals? The belief is that we share religious connections. Native American people, and other peoples of the world, all share this belief. That animals present themselves in physical or dream form with messages, as guides. Even psychologists acknowledge their meaning. Iconic representations of Native American animal spirit symbols are going to be touched upon in this blog. Some you’ll recognize. Some not. The bear, coyote, eagle, sky snake, and wolf to start out with. Discover the power of the animal spirits. The Sky Snake. Coyote. Wolf. Bear. And soar with the Eagle. Enjoy. Spirit of Sky Snake. The feathered sky snake, avanya, or citdola, symbol of fertility and renewal. The feathered sky snake, symbol of crop fertility and renewal. Guardian of rivers, streams and waterways, bringer of rain restoring energy, creating seasonal and life changes through birth and death. Most often found in pottery and jewelry. The true Native American design is a zigzag. Symbolic of water motion, with feathers to fly to the sky. The older Native American Indian symbols, like the sky snake, are from the Mississippian tribal tradition. Established a few thousand or so years ago. it’s described as an extremely war-like culture and is reflected in emblems, motifs and symbols. The sky snake is found in body painting, tattooing and piercing practiced by the tribe and is for warriors. Spirit Of Coyote. The coyote, the trickster, tricking the learner into a lesson until wisdom gained. The comic coyote, teacher of wisdom with a sense of humor. A typically fiendish joker.and trickster of grand proportion. On the whole, a mischief maker. Most definitely, considered one of life’s disruptions. If one crosses your path of the coyote, listen, Because the coyote teachings are by no means simple. You in all probability have to loosen up, not take issues so seriously. The coyote offers Balance wisdom, playfulness, and humor. Keep things simple. Be open to possibilities. The coyote is a crafty, cunning spirit full of tricks. He will Undoubtedly mess around with your head. Remember Wile E. Coyote and The Road Runner from Looney Tunes? Coyote, the trickster, with repeated failed and absurd schemes who tries to catch the fast running Road Runner. A classic chase making an attempt to get what the coyote wants. And there are scores of Native American tales about the coyote. .
One great story is The Coyote and the Stars. There are a number of variations of this story. One story is that coyote places the stars, making pictures in the sky, creating the constellations. In one other, he’s shooting arrows, knocking the stars around into pictures. This story, finds coyote out playing around, doing his coyote thing. He sees the Great Spirit, (also known as the Creator), taking stars out of a bag, neatly inserting them into the evening sky. Coyote offering to assist, is reminded to place the stars up, neatly. However coyote becomes impatient. Throws the entire bag of stars into the sky. The stars are scattered throughout the night time sky, and she gets scolded for messing with the stars. With his tail between his legs, coyote leaves, going back to being a coyote. However, if you listen, in the still of night when the moon is on the rise, you’ll hear coyote howling when he sees the mess he made with the stars, or with pride at the pictures he made. Gaze at the stars in the sky, at the pictures to see, and dream. The coyote animal spirit is cunning and intelligent. he has the ability to laugh at himself. Intelligent, playful, and a shape-shifter. He tricks the learner right into a lesson to be learned. He teaches you to see and to think that things are not as they appear. When the lesson is finished, knowledge and wisdom is gained. And so it’s written of Coyote. Spirit Of Wolf. The wolf, symbol of balance, bringer of knowledge. The wolf, a wild and exquisite animal. Highly visible all through history. In fables, fairy tales and legends. Wickedly intimidating. Native American perceptions of nature were very different from those that Europeans shared. The different Native American cultures shared a deep respect for other creatures. Many Native American people called the wolf the Path Finder or Teacher. They admired the wolf’s intelligence, courage, and strength. They also saw in the wolf a loyal pack member who help with the family as a whole when necessary. The tales handed down from generation to generation are mainly stories of wolf the keen hunter, wolf the devoted family member, wolf the proud defender of his territory, wolf the intelligent teacher, and wolf the true survivor. These were characteristics deserving great respect and emulation. To carry wolf power, among many tribes, was to be greatly honored and admired. In turn, the wolf was celebrated in ceremony and legend, as well as in dance and song. Understanding of wolves differed between Native Americans cultures that depended heavily on hunting and those that were mainly agricultural. It was for the hunter or shaman that the wolf played the greatest role, rather than the farmer. The Navajo, however, called the wolf mai-coh, meaning witch. Their fear of wolves was based not on the nature of the wolf, but on human nature. Both the Navajo and the Hopi believed that human witches used or possibly abused the wolf’s powers to hurt other people. While Europeans warned of a wolf in sheep’s clothing, certain tribal beliefs cautioned against a human in wolf’s clothing. The profound similarities between human and wolf have been celebrated in many Native American cultures for centuries. In some traditions, this kinship is believed to transcend even death, for in the spirit world, wolves are uniquely powerful. When they howl, are the spirits calling to us? According to a Cree myth, it was Wolf who, after the great flood, carried a ball of moss round and round the survivors’ raft, until the Earth reformed. It is no longer possible to trace the relationship between wolves and humankind to its origins, but it probably extends back at least two million years. Even then, wolves lived much as they do today, and our far-distant ancestors may have watched them running single file through the trees, hunting hoofed animals on green prairies and bearing their pups in the comfort of sand dens. Indeed, our ancestors may have followed a similar way of life, travelling in small family groupings and feasting on what they could kill. The wolf, valued by Native Individuals for his or her searching prowess, instincts, and loyalty. As smart academics. A religious pathfinder, symbolizing intelligence and management. A information serving to when misguided or misled. Wolf spirit makes you conscious, introspective. To look intently inside. To Pay attention fastidiously. When the wolf exhibits up in your life, take note of your instincts, your instinct. It is a false impression believing the wolf is a loner. The wolf is an influence animal with a excessive sense of loyalty, one of some monogamous animals, and mate for all times. A really social pack animal, household oriented, and “discuss” with one another by way of physique language, eye contact and sounds. 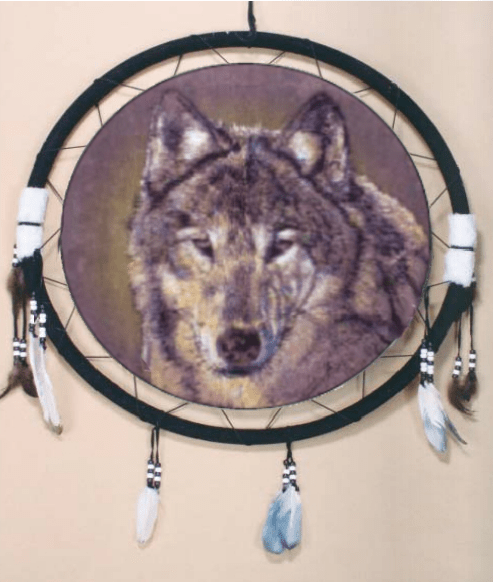 Native American Indians knew that dreaming of a wolf symbolized magnificence, solitude, thriller, self-confidence and satisfaction. If a wolf seems in your desires, it’s okay to be a loner by alternative. Spirit Of Bear. The bear, symbol of great strength. In folklore, a bear is often portrayed as either a sort of enforcer figure who punishes disrespectful or improper behavior among other animals and people, or as a humorless “straight man” for weaker but cleverer trickster characters to play against like the coyote. the bear personalities in these stories often range from wise and noble, to morally right but somewhat stupid and gullible, to aggressive and intimidating, but in most cases, they do not bother people who have done nothing wrong. (There are a few exceptions to this. In some tribes, like the Cherokee, bears are sometimes portrayed as violent enemies of the human, however, they are still an important clan animal to the Cherokees. Some tribes also tell stories about monsters resembling man-eating bears the size of elephants, which prey on innocent people and must be slain by heroes.) The devoted maternal behavior of female bears is often noted in folktales, with mother bears sacrificing themselves for their cubs or adopting human children. Bears are also one of the most important and widespread clan animals in Native American cultures. From all over North America, tribes like the Creek, the Chippewa, Osage, and Hopi, the Navajo and Pueblo tribes of New Mexico, all have or had bear clans. Bears are an important clan crest on the Northwest Coast too, and can often be found carved on totem poles. There are also many eastern tribes, like the Iroquois, that have a Bear Dance among their tribal dance traditions. The bear is truly one of those universal animals that is so important to the Native American culture. Spirit Of Eagle. The eagle, “master of the sky,” symbolizing courage, strength, and bravery. The eagle is used as a symbol throughout history, from Babylon, in Roman times, to the United States, today. The American Bald Eagle is used as our national emblem today, but for Native Americans, the eagle is seen as a symbol of great strength, leadership and vision. The meaning of the Eagle symbol was to signify courage, wisdom and strength. Its purpose is to be the messenger to the Creator. The eagle was believed to carry prayers to the Great Spirit in the Sky and Spirit World. It also has a special connection with visions that Natives would see during prayer ritual. Eagle feathers are highly significant to the Native American Indians and the bones of eagles were used to make whistles and flutes used at religious ceremonies and rituals. It was a custom to hold an eagle feather aloft when saying a prayer. During special council meetings, eagle feathers were held as an assurance that the person was telling the truth. Eagle feathers also held a connection to the Great spirit. The eagle had the ability to live in the realm of spirit, and yet remain connected and balanced within the realm of Earth. The eagle is therefore often connected with balance. Eagle Myth: The Abenaki solar deity ‘Kisosen’ meaning “Sun-Bringer” was symbolized as an eagle whose wings opened to create the day and whose wings closed to create the night. As you can see, there are numerous meanings for each animal. As numerous as there are tribes in America. the meaning of each depends on which region the tribe lived in. The key point is that when you get down to it, they all believed in basically the same “concept” of what each animal meant to them. so the next time you’re ordering Native American souvenirs for your shop, think about what each animal means. When helping a customer decide on which animal to purchase, you can reflect back to my wonderful post and give them insight to what the animal stands for. It will help them pick the right animal for them.